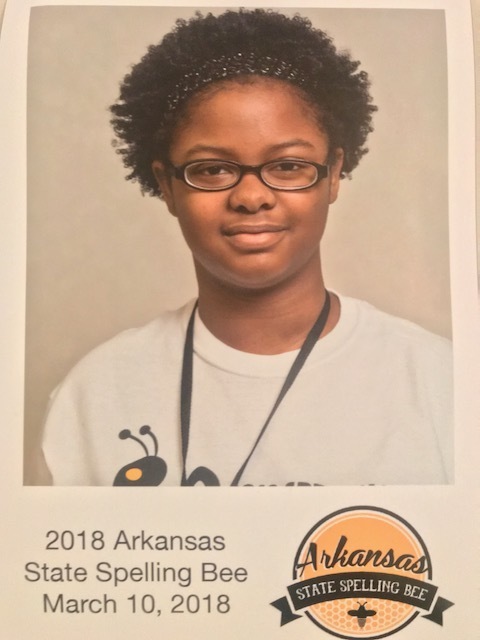 Congratulations to Eboni Holloway for placing 4th out of 60 students in the 2018 Arkansas State Spelling Bee that was held at Central Baptist College in Conway, AR. Eboni, daughter of Nicole Baker-HWHSD Math Coach, beat out other area school students to represent Phillips County for the third year in a row. This Gifted and Talented Central High School 8th grader is also a talented artist and an award winning tuba player. Congratulations Eboni Holloway on your accomplishment!